The Android notifications menu sometimes fills up so fast, it’s easy to clear it without properly checking it. If you’ve done this, and think you might have accidentally swiped something important into non-existence, you can still get it back. 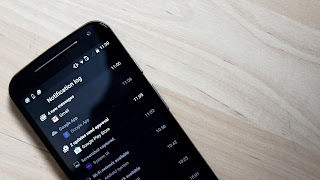 Stock Android users can recover lost notifications on their Android device by finding the Android notification history. 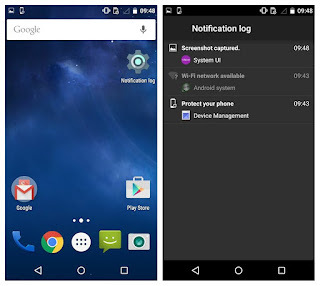 The notifications log was first introduced all the way back with Android 4.3 Jellybean, and is still accessible from Android Lollipop through Android Marshmallow and Android Nougat. The Notification Log enables you to view deleted notifications (in fact, you can see all system notifications), but it is only accessible through an almost-secret widget. It seems that you need to enable the Developer Options first to unlock widget on some phones. To unlock the developer options, go into your phone Settings > About Phone and then tap on the Baseband version several times. After 3 or 4 taps, you’ll get an on-screen notification letting you know you are now a developer (it also adds a new section in your Settings menu). 1. Long-tap an empty space on your Android home screen then tap Widgets. 2. Swipe left or scroll down the widget menu until you get to the Settings shortcut widget. 3. Long-tap the widget until your home screens appear, then drag it to a home screen of your choice. 4. In the Settings shortcut menu that appears, scroll down and tap Notification log. 5. 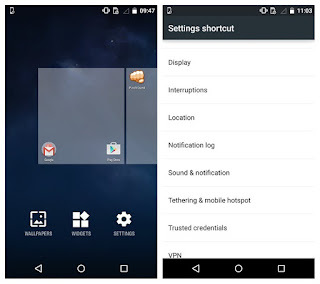 A Notification log shortcut will appear on your home screen. Just tap this, and you’ll have access to your notification history. Once you’re in the notification log, you’ll see active notifications in white and notifications that you closed in gray. You can tap the gray notifications just as you would normally, and you’ll be taken straight to the source of the notification.